Barclays has partnered with Unreasonable Group to support entrepreneurs that are creating jobs and improving the sustainability of our world. Unreasonable Impact, created by Barclays and Unreasonable Group, is a programme centered around scaling growth-stage ventures across the globe that are well positioned to create thousands of jobs while solving our toughest societal and environmental challenges. 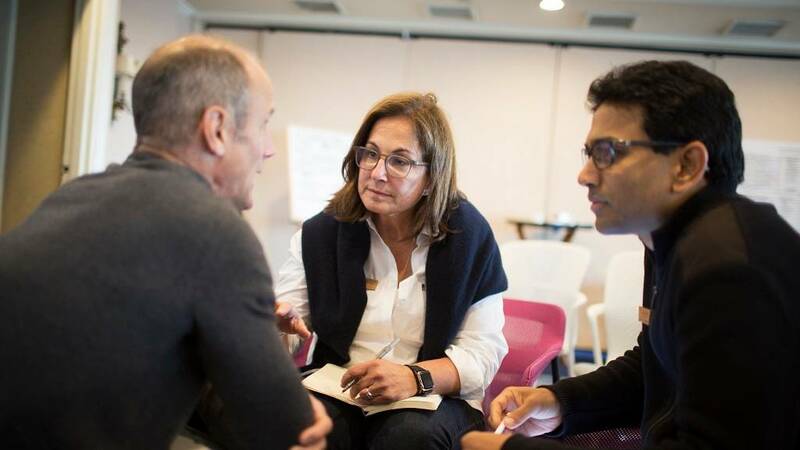 This international network of accelerators provides resources and support for entrepreneurs who are scaling business solutions for some of the most critical challenges facing the planet. The 35 participating entrepreneurs in last year’s inaugural programme have already impacted over 150 million lives across 170 countries. Their businesses are hacking solutions to communications, food production, environmental management, supply chains and similar issues. Here’s a quick update on a few of those groundbreaking companies. Alesca Life, a Beijing-based company, was started by former investment banker Stuart Oda. The agricultural technology venture has developed weatherproof, cloud-connected farms to enable local food production globally in an effort to democratise access to safe and fresh produce. Alesca Life's pesticide-free commercial farming systems require over 20 times less the land, water and fertilizer compared to traditional agriculture. The company has deployed their systems in China and the United Arab Emirates, and is in discussions to expand their production capabilities into functional foods and nutraceutical products. Altaeros invented an economic and environmentally friendly way to accelerate the delivery of last-mile telecommunication services to over 4 billion people without internet access. “It's been an amazing experience," says Ben Glass, CEO/CTO and founder of Altaeros, about the Unreasonable Impact programme. “It's a combination of awesome people, an enthusiasm to genuinely follow up and help, and content that's actually useful". Desolenator is a UK based clean technology venture that provides one of the first real solutions to the global water crisis. By 2030, it is estimated that half of the world’s population won’t have access to clean drinking water. CEO and founder William Janssen created a technology that is accessible to everyone, that can transform the oceans or contaminated sources into clean drinking water. With a holistic approach to the challenge, working across public, private and third sectors, it has the potential to expand to multiple markets and improve the lives of millions of people in a profitable and sustainable way. Unreasonable Impact helps high-growth companies scale by working with a highly-developed network of mentors, funders and partners. “Success in this partnership is ensuring that the entrepreneurs who are solving our hardest problems are widely successful,” says Daniel Epstein, CEO of Unreasonable Group. Participating entrepreneurs receive mentorship and advice from business experts and serial entrepreneurs, such as Tom Chi, former head of experience at Google X; Chip Heath, Stanford professor and author of Made to Stick; John Miller, Global Head of Industry Coverage Banking at Barclays; and Claire O'Connor, Head of Loan Capital Markets at Barclays, among many others. The first year of the global accelerator network delivered three intensive two-week programmes focused on nurturing companies from three distinct regions: UK and Europe, North America, and Asia Pacific. Another wave of accelerator programmes in the second year of the programme will give support to more high-growth entrepreneurs as they create the jobs of the future. The second US-based session ran from October 22 to November 3, while the second UK cohort is slated for November 26 through December 9. The second Asia accelerator will be scheduled in the first half of 2018.